I saw "Central Intelligence". Very fun movie. It won't win an academy award but most movies won't and don't have to to be enjoyable. 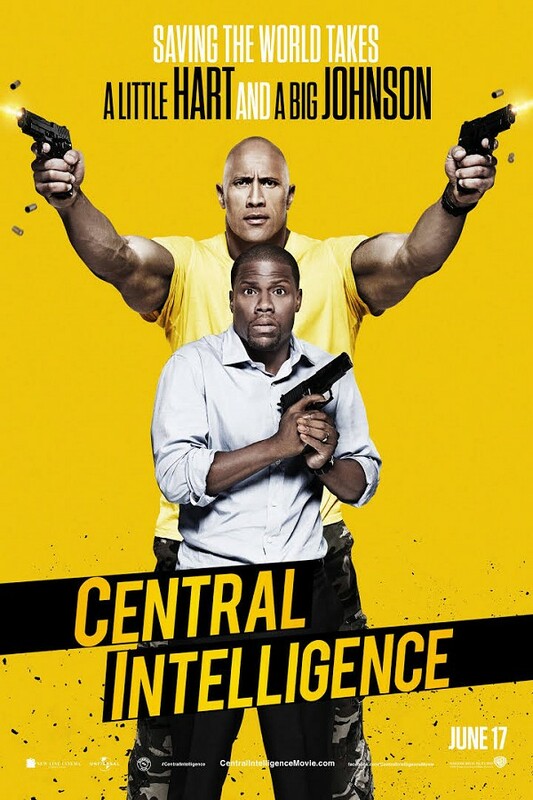 It stars Dwayne 'The Rock' Johnson as Bob Stone and Kevin Hart as Calvin Joyner. Hart is his normal frustrated self with a kind streak. Johnson is action packed with a sweet, kind streak. I noticed two personal quotes by Johnson that seem to be reflected in this movie "No matter who you are, being kind is the easiest thing you can do." And "It's nice to be important but more important to be nice. I heard that from a friend when I was about 15, and I've never forgotten it." It begins with a flashback to something that happened twenty years ago to these two high school classmates. Bobby is horribly humiliated and Calvin comes to his rescue. The rest of the movie deals with Bob finding Calvin and enlisting his help dealing with his work in the CIA. It's funny and cute. You'll see a side of Johnson you've never seen. He and Hart do a very good job and seem to have good chemistry together. The story seemed a little convoluted but still good. The supporting actors do a fine job. The 'obnoxious guy' in the office actually got an applause when he interacted with Bob's boss. You'll see what I mean when you go.